The Coromandel is one of those places that I could never get tired of. 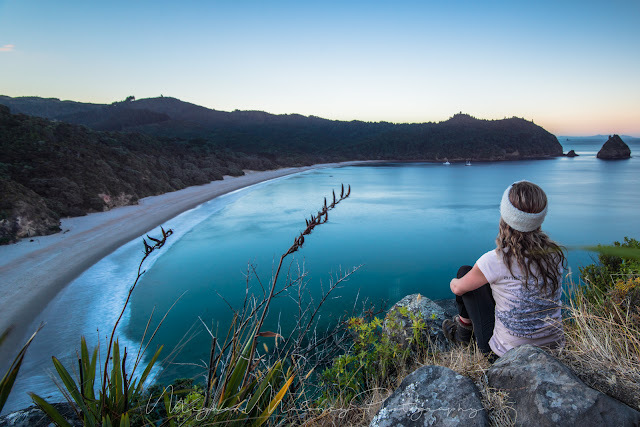 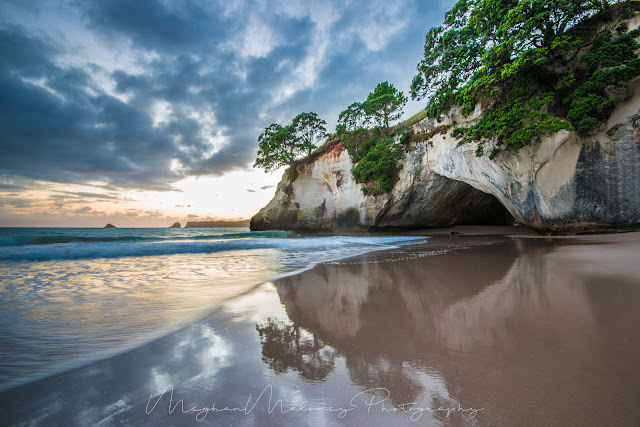 It is extremely photogenic around almost every corner, and whether you seek a sheltered beach that stretches for miles, a waterfall hidden away in a valley, or a cove straight out of a child's fantasy movie, the Coromandel has it all on offer. 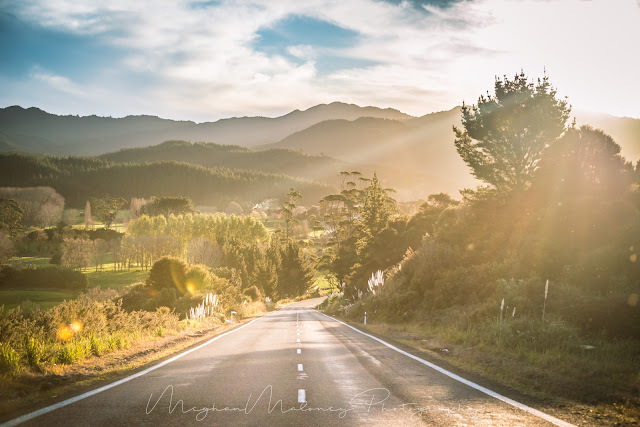 And when you add a mild climate even in the depths of winter into the mix, you're sure to fall in love with this part of New Zealand and, like me, find it very hard to leave. 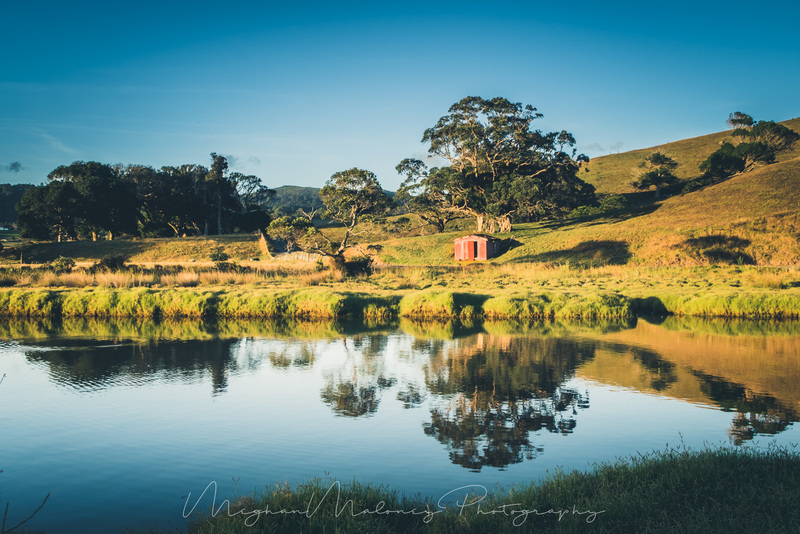 It's difficult to choose a list of must-see photography locations as the whole Coromandel peninsula is breathtaking and covers a large area, but these spots are my go-to locations whenever I get the chance to visit. 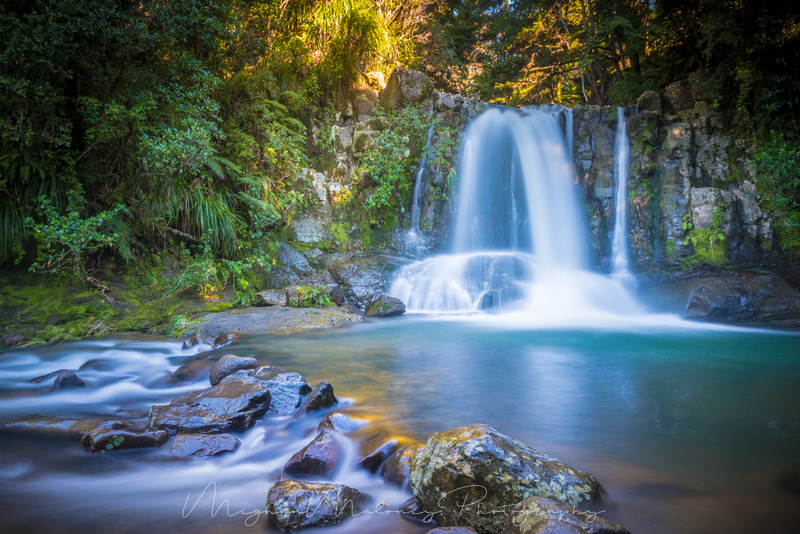 This waterfall must be one of the easiest waterfalls to get to in the Coromandel - literally only a 2 minute drive off the main road between Waihi and Karangahake Gorge. 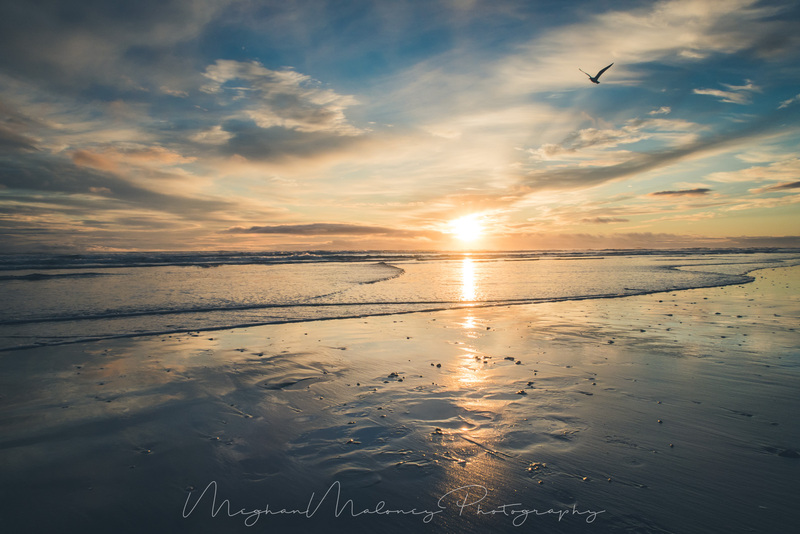 I'm yet to get an amazing sunrise or sunset here, but even in the middle of the day it is a sight to see. It's a popular swimming spot in summer though, so be warned you might need to be prepared to share the view with a whole heap of other people if you head there during the day. 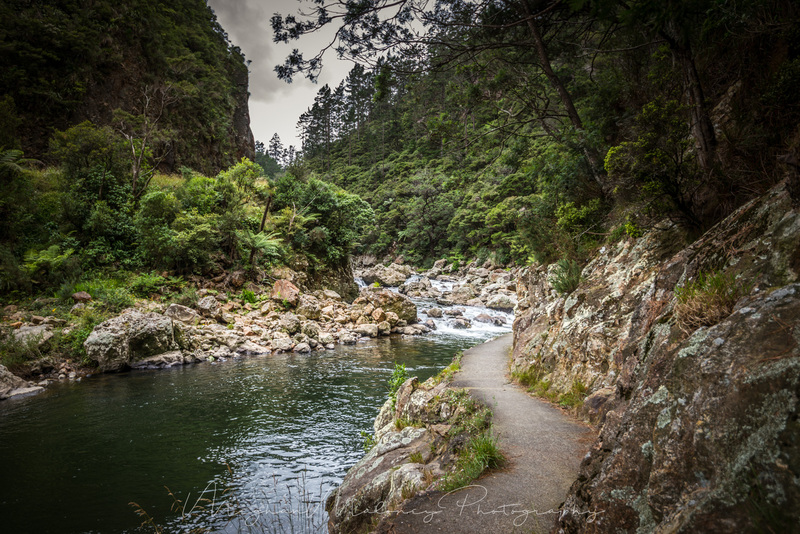 Also just down the road is the fascinating Karangahake Gorge area with several walks through old rail tunnels and gold mine shafts. 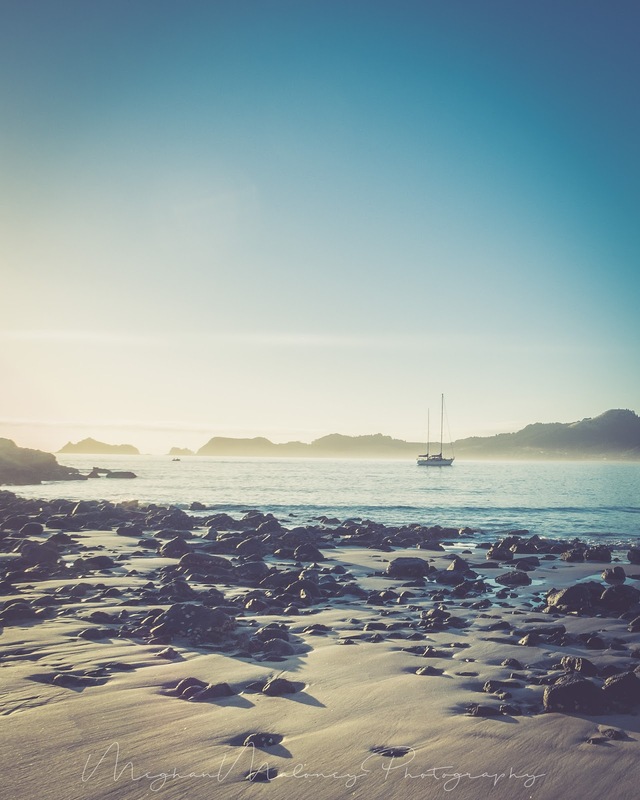 It's certainly an easy place to wile away a whole day if you have time. 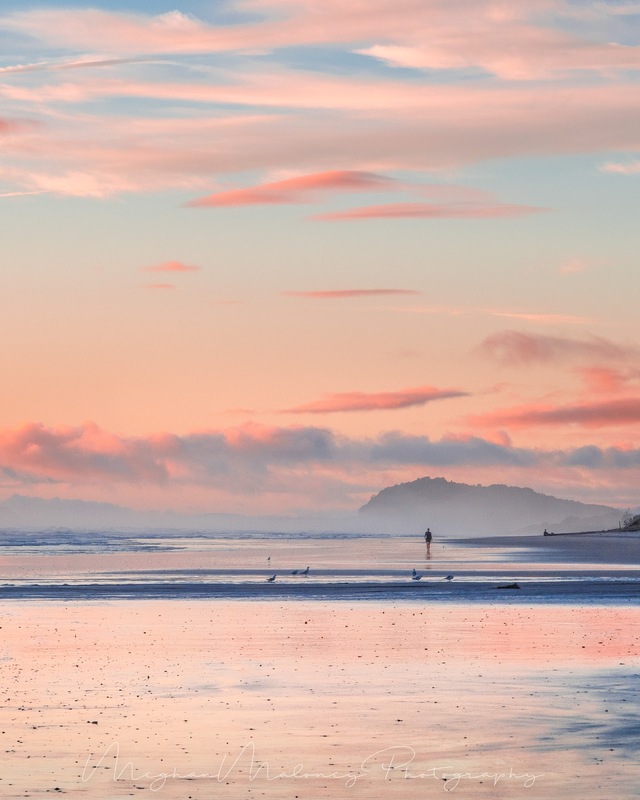 You need to time the walk to New Chums Beach with the tide as there's an estuary to walk over and you will likely need to remove your shoes to get across even at low tide. The walk around to the beach can be muddy at the best of times, so don't wear your fancy footwear and expect them to stay clean. 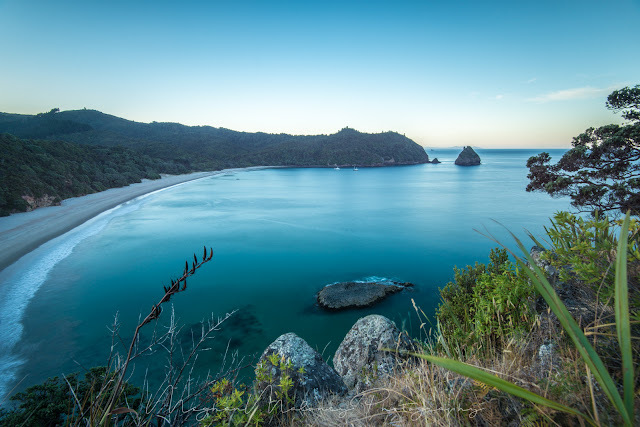 If you can bear a steep climb, the view from the lookout before you get to New Chums Beach is amazing but it's also somewhat nerve wracking setting your camera up on what literally feels like the edge of a cliff - best to take a buddy to enjoy the adventure to this spot so there's someone to share the exhilaration with and so you're not alone up high on the cliff at sunset like I was! 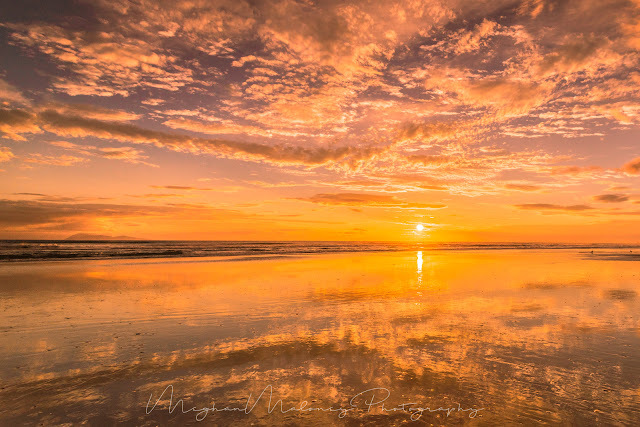 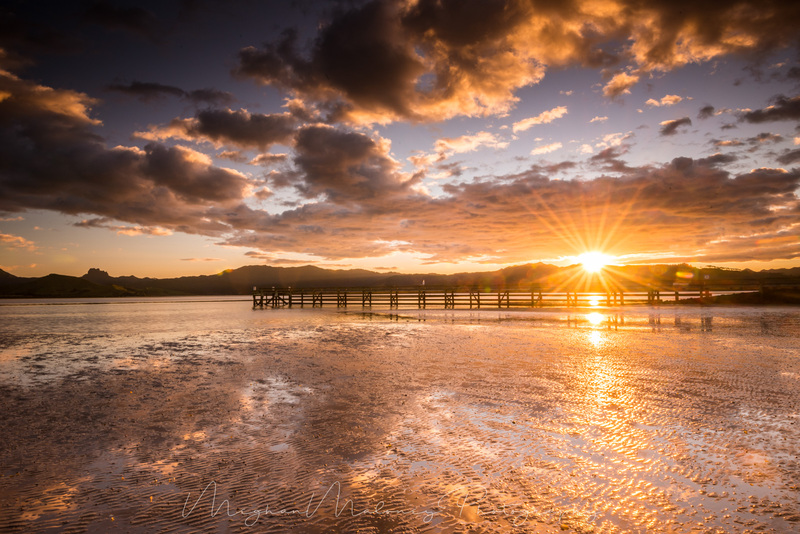 Time it right and you might just catch a beautiful sunset reflected at low tide in the tidal pools of the Matarangi jetty, but beware that you're likely to sink ankle deep in the mud while doing it! 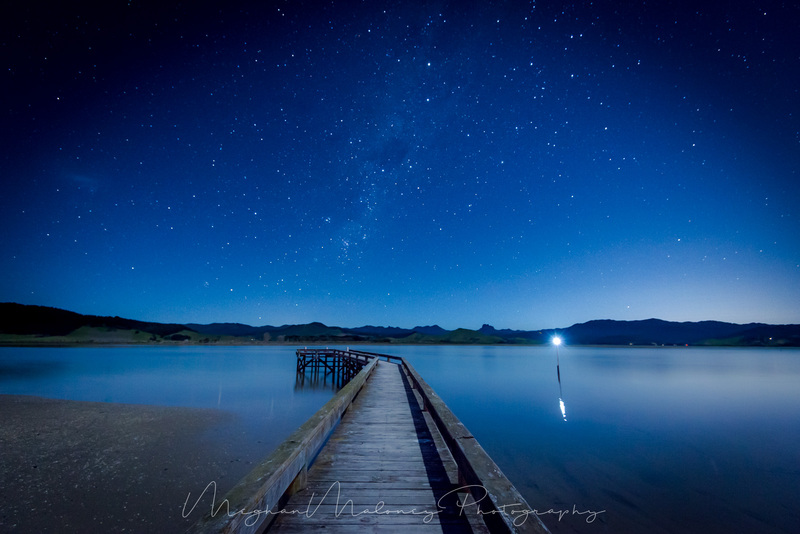 My all-time favourite landscape image captured here was actually a night shot looking over towards the Coromandel hills with the stars above, helped by a half moon providing extra light that night. 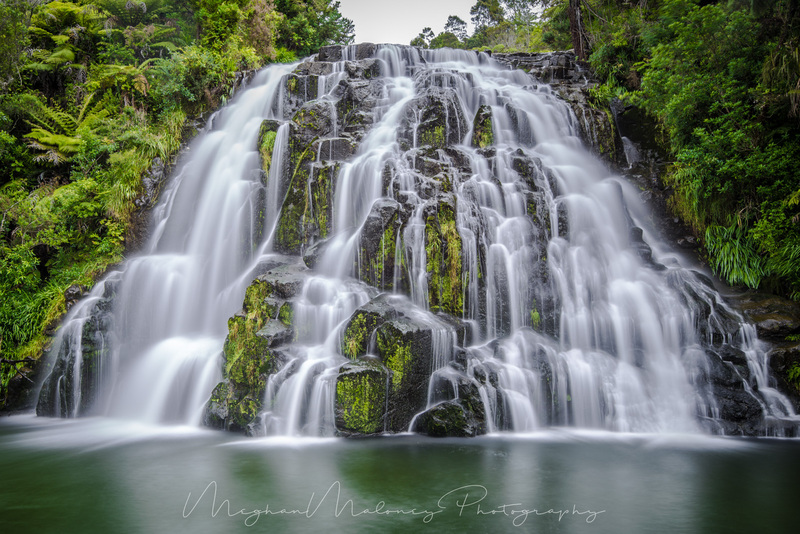 Hidden away on the scenic (gravel) 309 road is the gorgeous Waiau Falls - somewhere between the road to Castle Rock (which is also a fantastic but steep climb for views over the whole region), the pig farm (where pigs will just wander out on the road in front of you), and the majestic kauri grove. These falls are probably best seen in late afternoon once the harsh light of the sun has moved off the water. 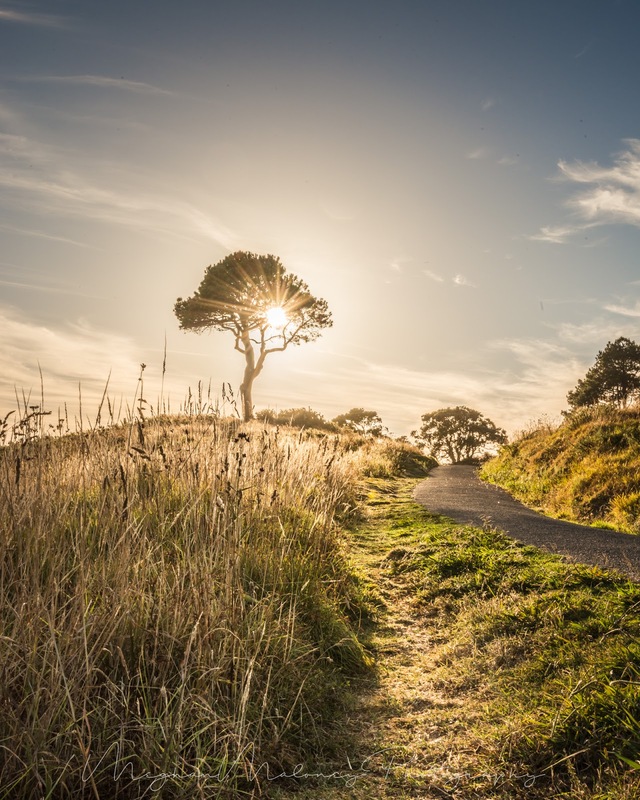 There's a lot to explore in this area, as well as an expansive beach which stretches for miles, you can also take a hike over to Orokawa Bay which is be amazing during pohutukawa season (although I'm yet to visit then). To get a great vantage point over the area, you can also drive or walk up the hill behind Bowentown to get a great vantage point over the whole area. 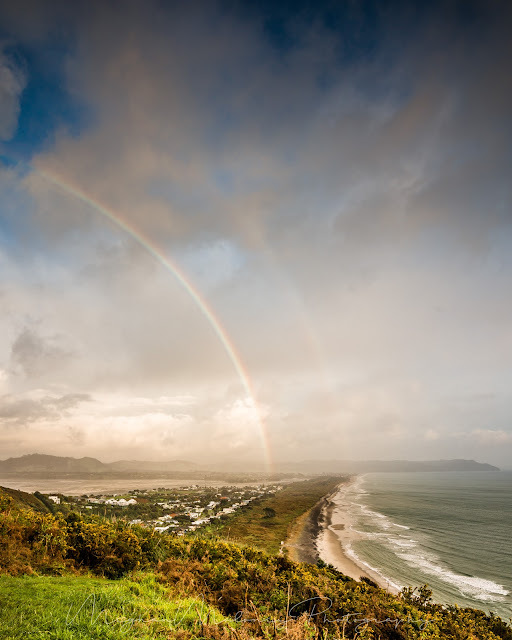 And if you time it right after a rain storm, you might just get a rainbow in shot too. 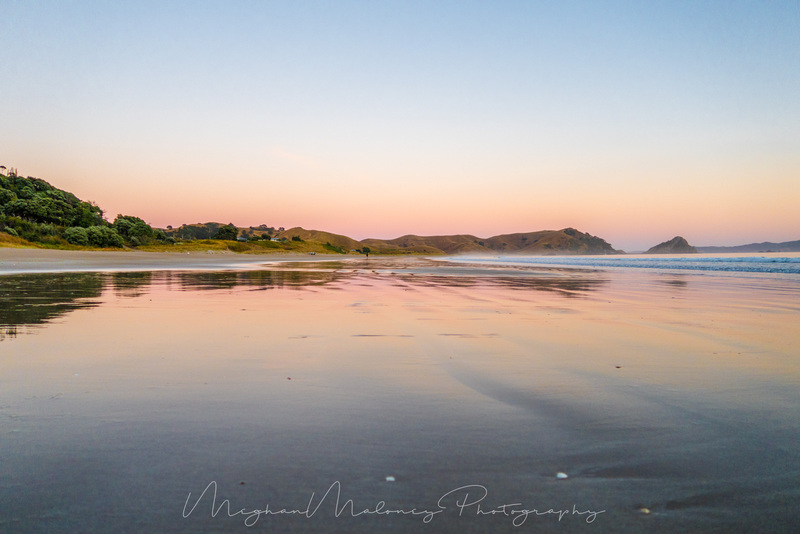 If you don't mind driving on some pretty gnarly gravel roads, the secluded beaches at Otama Beach and Opito Bay make for a gorgeous sunrise location, and you can can pretty much guarantee to be the only person around for miles on the beach. 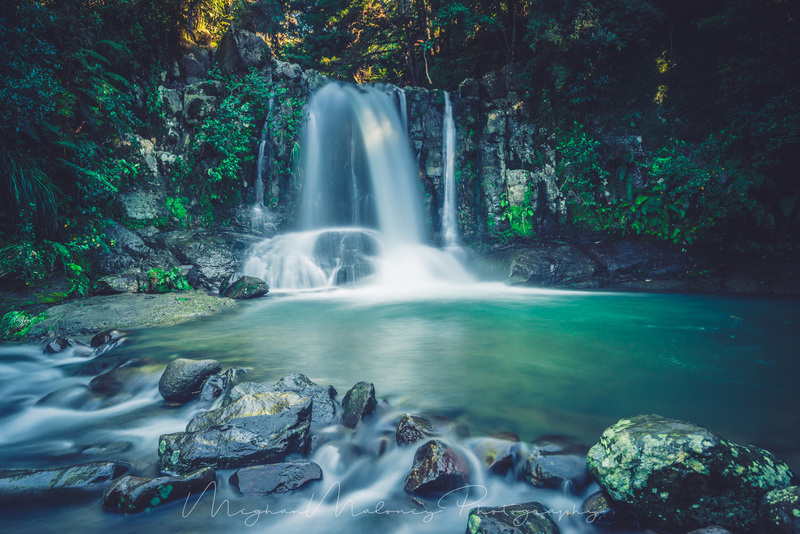 This little gem of a waterfall is seasonal and not very easy to get to - it's a long walk from Waihi Beach past Orokawa Bay, or you can do what we did and take the steep walk down through farmland. 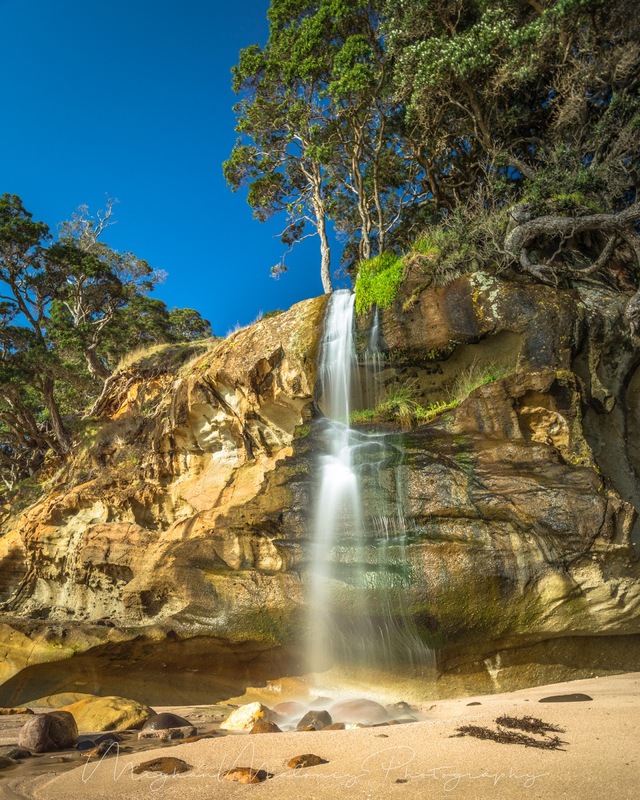 It can be pretty muddy, particularly near the bottom where you have to walk through a bit of a bog to get down to the beach and to guarantee a waterfall it would be best to visit after recent rain or in Spring when it seems to be wettest! 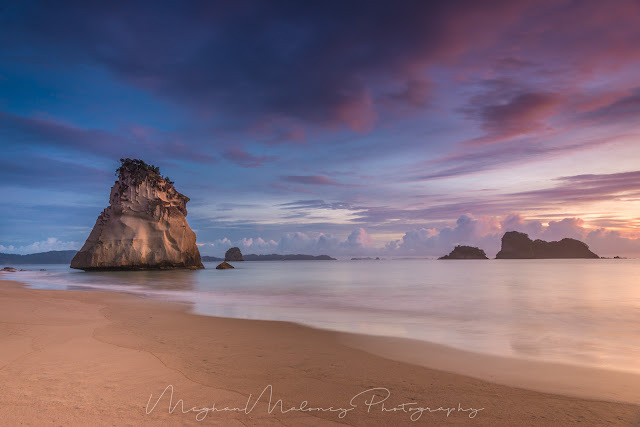 Whangapoua is one of those rare NZ beaches that has an offshore island and so when the sky lights up behind it at sunrise, it's pretty magical. 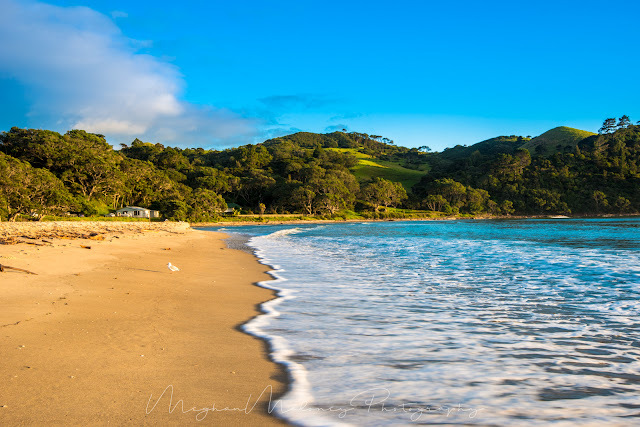 Behind the beach is a stunning estuary and farmland that provide a different point of view if you ever get tired of capturing the beach. From here you can also walk over the rocks to New Chums beach - named one of the Top 10 Lonely Planet beaches in the world - which came in at number 9 on my list. 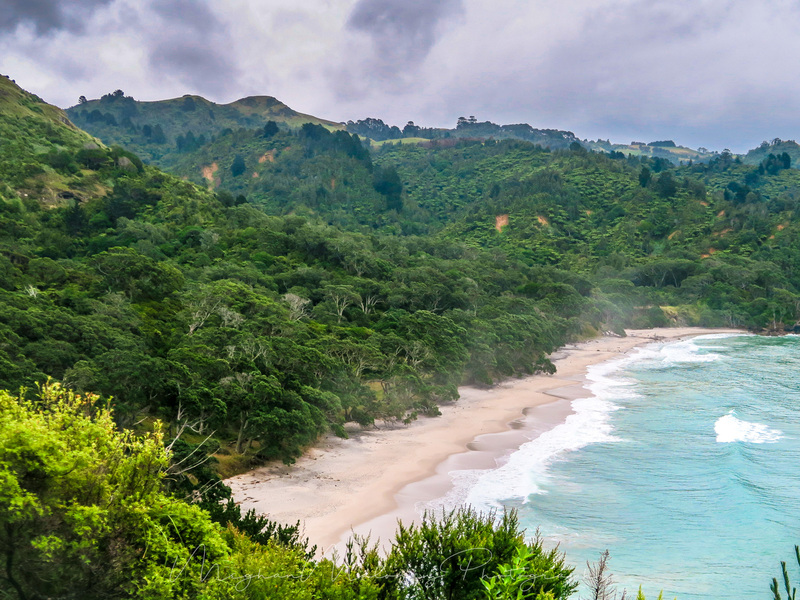 The roads through the Coromandel are mostly windy as heck, so anyone with a slightly squeamish tummy is likely to feel a little sick driving up and over the hills between the various beach towns along the way. 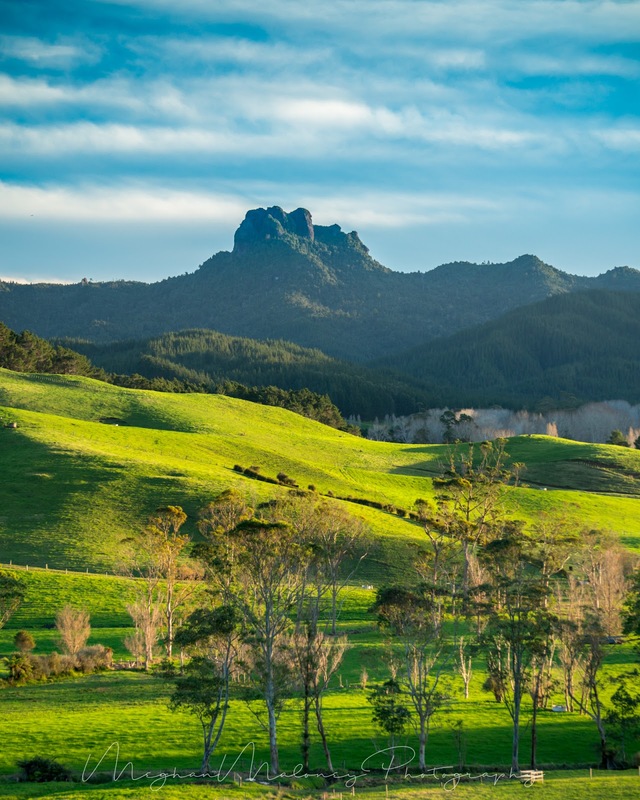 But all those hills have an advantage, there are some great vantage points where you can capture layer upon layer of hills stretching off into the distance. 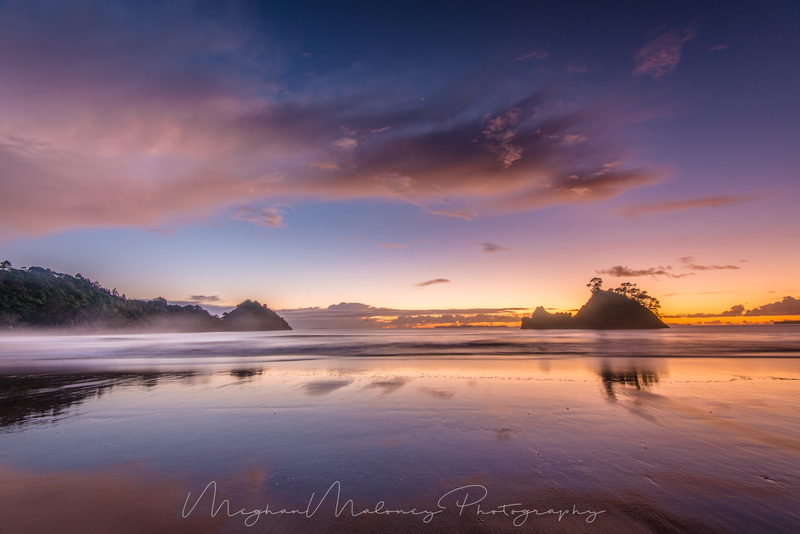 I've found a couple of favourite spots - one that has beautiful late afternoon light towards Castle Rock (aka the Giant's Face), and another on the way back from Whangapoua that's beautiful in early morning golden light. 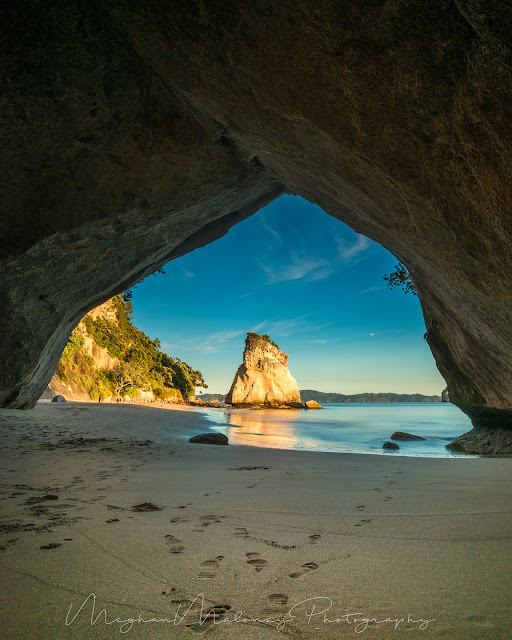 It goes without saying that Cathedral Cove has to be number one on my list - even though it is probably one of THE most photographed locations in New Zealand, let alone just the Coromandel. 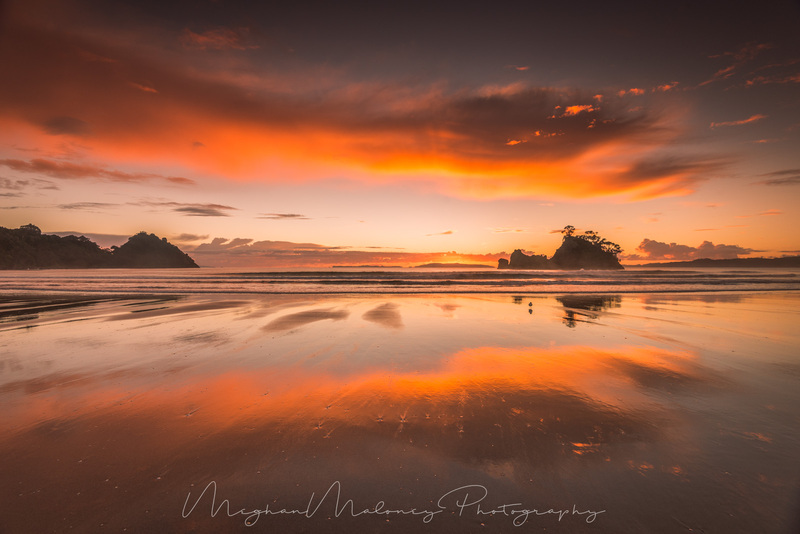 I'm somewhat biased by the fact that I've had not one, not two but three amazing sunrises here in the space of a year so I find it's one of those spots that has never disappointed. 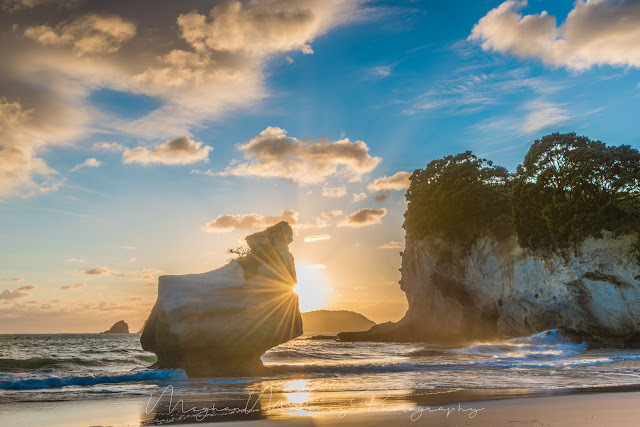 That being said, it can be overrun with tourists so I would only choose to visit on a non-holiday weekend and make sure you get there early if you want the place to yourself. 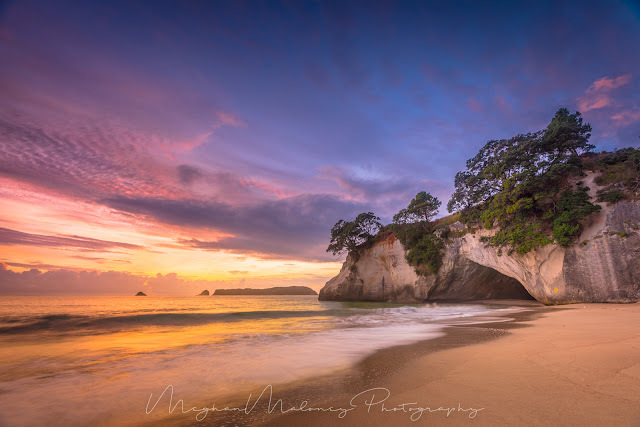 Of course, there are so many more amazing Coromandel photography spots I've not even begun to cover in this list so if you have a favourite Coromandel location that's top of your list, drop me a comment below and let me know! 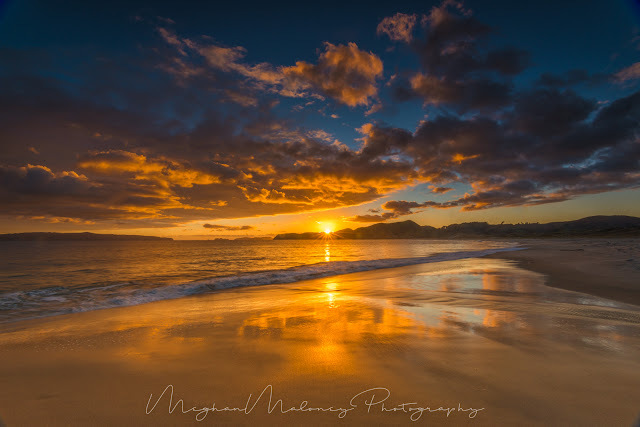 To view more Coromandel images or to purchase prints, visit my Coromandel Gallery. 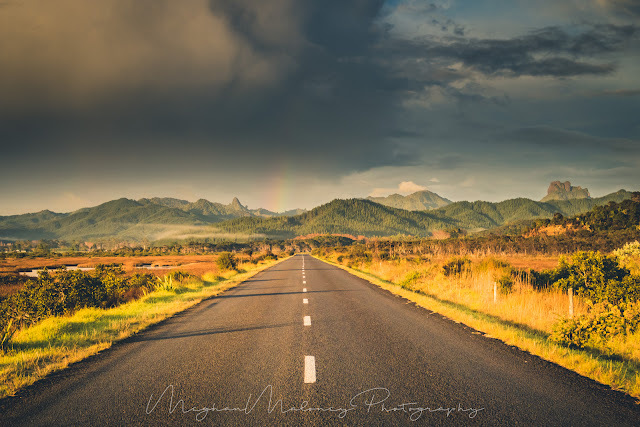 Coming home, Meghan - thank you so much for sharing your photos.... my decision has been made easier through your lens.... I hadn't realised just how deeply I had suppressed my longing.